As my friends can attest, I have a tendency towards tackiness. I never follow Chanel's "take one thing off before you leave the house" rule, and have an assortment of jewelry tucked away in my bag that seems to find it's way onto my fingers, ears, and neck as the day goes by. In fact, my requirement for most new purchases is that it 'have lots of bits stuck on'. Maybe that's why I find Tze Goh's new collection to be such a breath of fresh air. Wherever a seam could be avoided, it was. 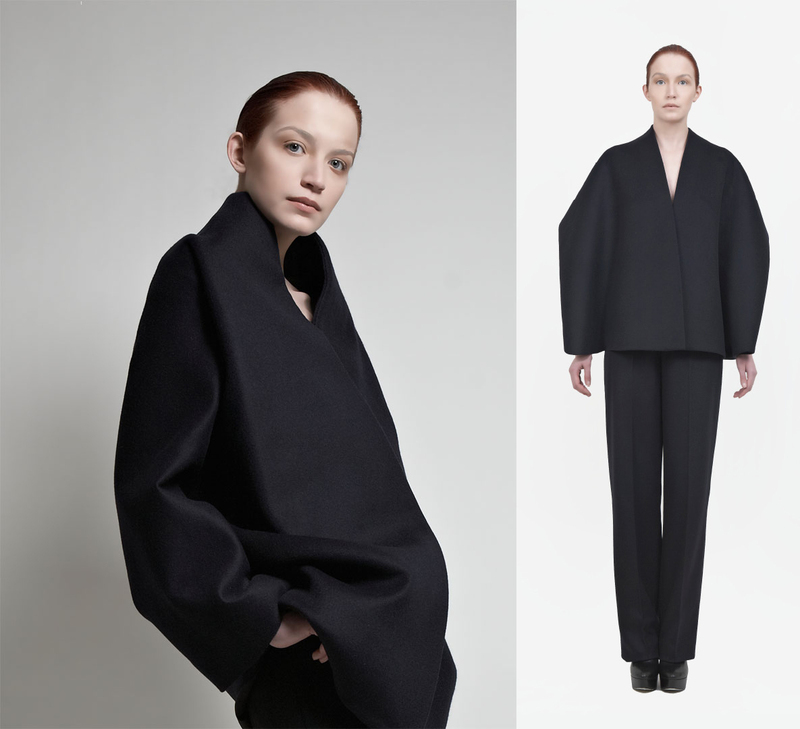 The clean lines and strong silhouettes are highly appealing. I am particularly fond of the ingenious way in which Goh imitated a traditional blazer lapel through cleverly twisted fabric. The bulky, kimono-inspired jacket is also appealing to me, it speaks of a sophisticated comfort perfect for the quickly approaching autumn. In other news, I have only been to the beach once this summer, and that is DEPRESSING. I need to get as much beach time in as possible before summer is gone! I just realized this as I was writing this post, and now I am officially in Beach Panic Mode. I actually thought, "Sea of Ghosts would probably like this collection!" when I first saw it. Also, I'm so flattered that you read Mortuaire! You're one of my favorite bloggers & I love your new jewelry line.